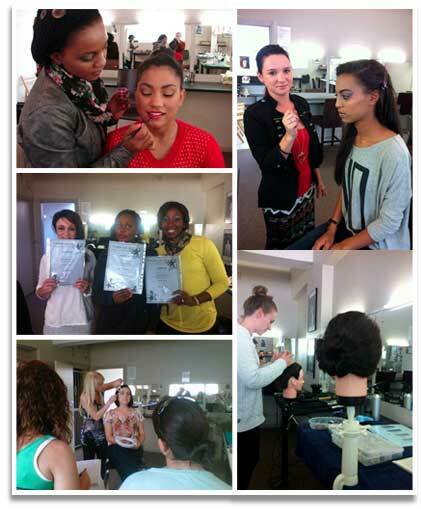 Makeup courses offered at Make-up Stars Cape Town. I’m the owner operator and main teacher. We offer a variety of professional makeup courses. The 8 Day Intensive Makeup Courses, Part Time Courses and Full Time Courses. The private hair styling lesson is also available when there is a demand. The 8 Day Course is there for those that are just wanting a ‘taste’ of Makeup artistry. For the makeup artist who wants develop their skill, we recommended the longer Full or Part Time Courses would be ideal. All courses do cover the basics , but Full and Part Time Courses go into a lot of details technique wise. If you are leaving school next year and are wanting to make a career out of make-up, consider doing our Full Time Makeup Course (6 weeks) and our Intensive One Week Hair Course. 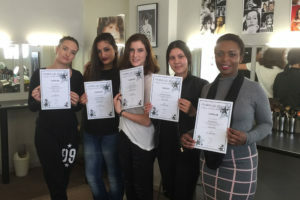 Make-up Stars do not offer one year Makeup courses. I do not feel this is beneficial in todays times. If you have questions or would like to book for the course please email me as I can also offer you up coming dates. I will try my best to work with dates that work for you so please communicate with me if the dates don’t work for you.